We have now come full circle - this edition concludes our Urtext series of the complete Beethoven string quartets. The ending of this highly expressive work, at whose centre is the famous Cavatina, was originally the Grand Fugue. Yet a contemporary critic felt that this was unintelligible, like Chinese. At the urging of the publisher Beethoven replaced it with a newly composed finale and published the Grand Fugue with a new opus number. Ever since, it has often been performed separately. In order to respect the desire of modern ensembles to be able to perform the Quartet op. 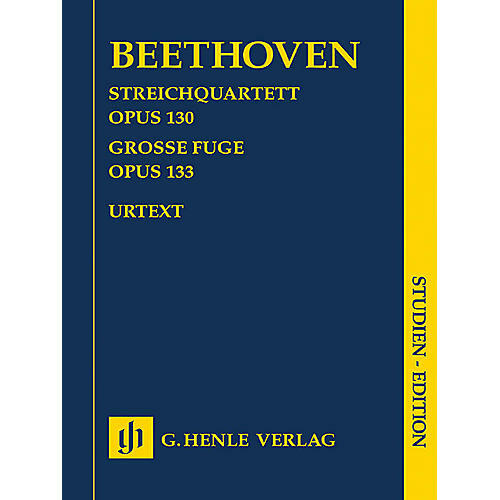 130 in Beethoven's original version, we have included the Grand Fugue in this edition.